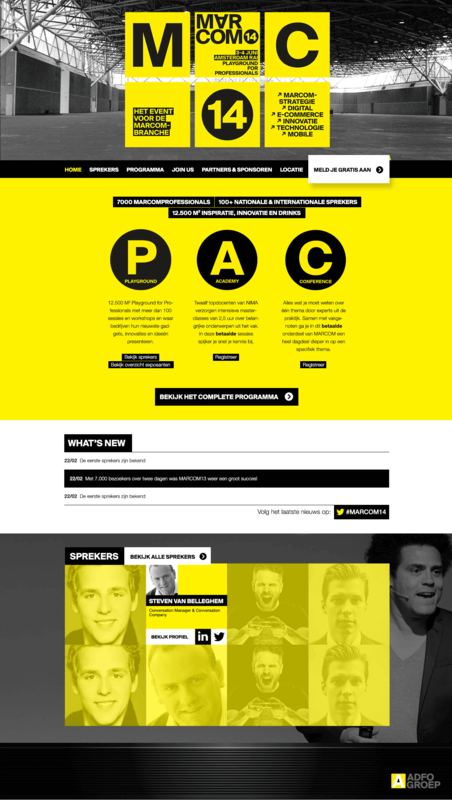 For MediaIngredients I worked on the development of a custom responsive WordPress theme for MARCOM14, a yearly conference for marketing professionals in the Netherlands. Main goal was to provide visitors with useful information about the event. The webdesign was done by MediaIngredients. 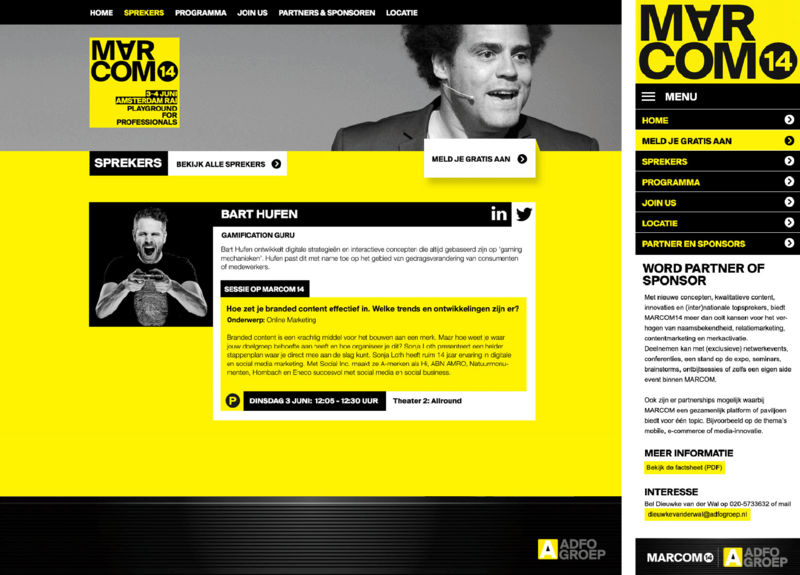 MARCOM14 is organized by AdFormatie.